With spring officially here in the UK you can almost smell summer around the corner. What does summer mean? FESTIVALS!!!! So where better for the Swedish House Mafia to host their own exclusive arena again than the almighty, one of the UK’s top Dance festivals, oh yes, that would be – CREAMFIELDS!!!! Axwell, Steve Angello and Sebastian Ingrosso will be joining an all star line up that includes the likes of Tiesto, David Guetta, Deadmau5, Leftfield, Eric Prydz, Calvin harris, Paul van Dyk, Richie Hawtin and Sven Vath to name a few! Who will be in that exclusive arena with them then? We’ve got Dirty South, Kim Fai, AN21, Afrojack and Max Vangeli! For more information about Creamfields and to get yourself well and truly excited visit the Creamfield’s website! Tickets are on sale now at ticketline…..get it booked! Here’s a little reminder of last year……. O2 Academy Brixton – Tickets on Sale Now!!!!! As you all know,the Swedes are returning to O2 Academy Brixton for a May Bank Holiday weekend takeover! Last year saw them stage their first shows at O2 Academy Brixton, selling out 2 nights at the legendary venue, an event which featured cutting edge production and special effects. In May they return to do it all over again, with no expense spared, the boys are set on delivering an equally spectacular show for all those who missed out last time! Tickets are now available for Friday 28th & Saturday 29th May Bank Holiday Weekend, to purchase click HERE for the 28th and click HERE for the 29th. In the meantime sign up to the website for exclusive news announcements and here’s a teaser of what to expect……..
IDMA – The International Dance Music Awards nominations! It’s the 25th Anniversary of the Awards and collectively the boys have picked up THREE nominations!! Two nominations with Laidback Luke for the almighty anthem ‘Leave the World Behind’ and Steve Angello up for Best Global DJ. Amazing! The guys are stoked and want to thank all of their fans for getting them where they are. The categories are below showing what the guys have been nominated for and you can see the full list of categories here. If you could take a few minutes to visit the VOTING HERE and support them, it would be much appreciated! 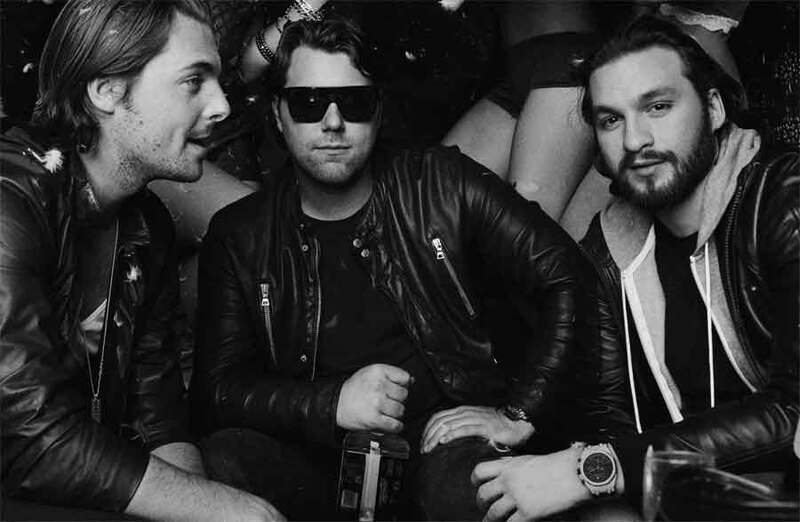 This month see’s Axwell, Sebastian Ingrosso and Steve Angello take the front cover of DJ Mag. The guys talk about the Dark Forest, the online world and amusingly intense fans. To read the full interview go and pick up your copy now! The Swedish House Mafia are waiting for you!